The Signia Silk hearing aid is relatively new to the market and already changing the way we consider an in-the-ear hearing aid. Unlike many other in-the-ear hearing solutions, the Signia Silk requires no waiting time for customization. A traditional custom fit would typically take anywhere between one and two weeks. Instead, the moment you make the decision to enhance your hearing with Signia Silk, you’re ready to walk out the door and into a more comfortable auditory life with less listening effort required. One of the smallest in-canal hearing aids, the Signia Silk is invisible to others and undetectable to the wearer. The size is so compact that it fits deep inside the ear, making it virtually undetectable. Instead of stripping this concise device of capabilities due to its size, the Signia Silk is fitted with all of the technology and options associated with the rest of Signia’s Primax line. Many advanced features usually found only in larger hearing aids are found in this compact product, making it small but mighty! The subtlety of this device is matched only by its tremendous sound technology, making it a perfect choice for a first-time hearing aid for those with mild to moderate hearing loss. The secret to this incredible convenience is Signia Silk’s unique silicon sleeves. The six types of sleeves available assures you a custom fit feel and experience with no wait. Binaural One Mic technology filters out distracting background noise to ensure that the sounds you want amplified are those that are enhanced. And the best part is that it requires no additional applications or alterations, but simply uses the ear’s natural system to focus on the sounds that are in front of you. Patients with single-sided hearing loss will particularly benefit from the Signia Primax and its use of CROS and BiCROS technology. Based on e2e wireless™ 3.0, which conserves energy while increasing binaural sound quality, this technology allows wearers to hear in a more natural way with greater overall comfort. 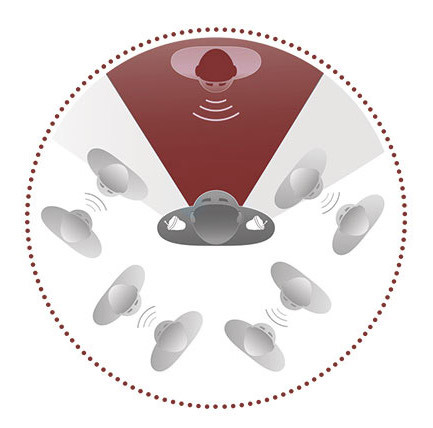 A CROS Pure® transmitter is worn behind the ear without the aid, and the audio signal is wirelessly transferred to the Primax device on the other side, allowing the wearer to hear sounds from both sides. The overall result is a more dynamic, balanced, true-to-life listening experience every day. This is a particularly good fit for the active and connected wearer. 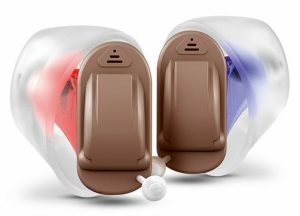 Its discreet size and placement are paired with incredible hearing capabilities and perhaps most importantly for the highly-connected person, a very contemporary mobile application. With Signia Silk’s easyTek technology, you’re already one step ahead of everyone else. Able to seamlessly integrate with any Bluetooth enabled platform, the audio from all of your favorite devices easily streams directly to you making arguments over who controls the volume a thing of the past. This means you are more in control of hearing the sounds that you want to hear at the volume that is most comfortable for you. 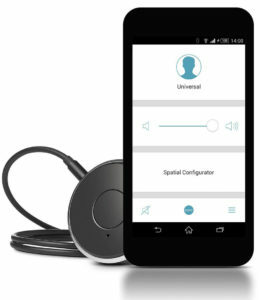 The EasyTek app makes adjusting the hearing system of the Signia Silk discreet and convenient. 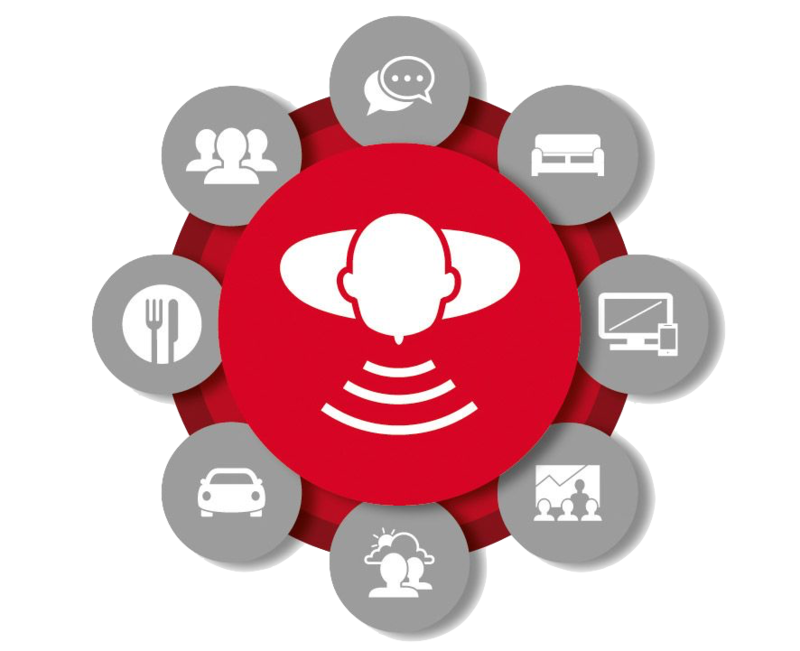 Requiring no on-device controls means that every capability of the hearing aid can be controlled through the app. Listening conditions tend to change frequently and in the past, entering into a crowded room or leaving one would previously require a manual adjustment on the device itself. Using the app, you can make subtle adjustments as conditions change around you. What this means is that switching listening programs or adjusting volume in your hearing aid looks just the same as if you were scrolling through your smartphone. It’s this same app that lets you toggle between devices, too. Making the switch between a television program and answering your phone happen in an instant with the touch of a button. You’ve effectively transformed your hearing device into stereo headphones! The Signia Silk is compatible with all Signia accessories. The rechargeable batteries are environmentally friendly and cost effective, too. Signia offers multiple charging solutions to accommodate any lifestyle. A variety of remote controls are available if apps just aren’t your thing, or if you want to take a few hours here and there to unplug from all that connectedness for a little downtime. Tinnitus therapy is also available to ease those persistently affected. Choose from multiple static noise or ocean wave signals.